The West Pole is the first Gathering album since the departure of singer Anneke Van Giersbergen in 2007. She has since been replaced by Silje Wergeland (Octavia Sperati) and The Gathering deceptively approached The West Pole with the mentality of “new singer, new sound” with the misleading mammoth opener When Trust Becomes Sound. The song is an unexpected post rock number that continuously builds on itself before a questionable background megaphone ramble comes out of nowhere courtesy of guest singer Anne van den Hoogen. Thankfully the guitar buries the megaphone in a fashion most favourable and lets you enjoy the rest of the sterling craftsmanship that has gone into writing and performing it. After The Gathering waste time not introducing Silje Wergeland she makes a powerful introduction for herself on the even-tempered Treasure. Her performance should remove any doubt from long time Gathering fans that are sceptical of her being able to replace Anneke Van Giersbergen. She easily proves to be a suitable replacement while there are some noticeable similarities between them. The overly noisy side of The Gathering is short-lived and the mid-paced songs become the theme before they manage to take it down a few more notches beginning with the quelled No Bird Call up to and including Pale Traces, which throw back to the sombre ambience of their 2006 album Home. Unlike their previous trip rock albums, the distortion drenched guitar has been integrated into their sound to give them a new edge to work with, just not in the way you would expect from the opener. 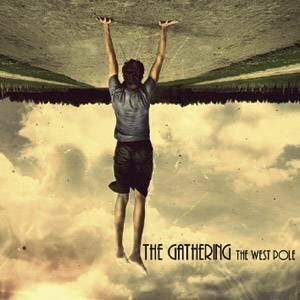 It has definitely push them forward and kept them from rehashing their existing sound and while it would have been exciting to hear The Gathering take on the post rock genre and weave their unique vision around it, The West Pole ends on a well-deserved high note.